In this post, we have identified eight important technology trends that will affect small businesses in 2018. By being aware of these developments and responding to them appropriately, you will give your small business a useful advantage over your competitors. The more things change, the more they stay the same remains true when considering the cloud’s role for small business in 2018. 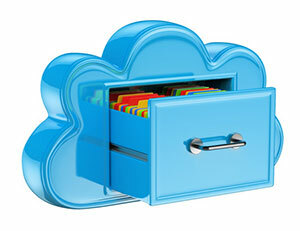 The trend toward going to the cloud continues its steady upward climb. According to IDC, more than 70% of companies with 10-99 employees use the cloud already and more plan on being there in 2018. In addition, the trend is for more companies to use more than one cloud application with an increasing number moving toward completely cloud-based businesses. Another important trend is that small businesses will be using the cloud to access Artificial Intelligence (AI) and Machine Learning tools and analytics to reap the benefits discussed in the section below. A recent survey by Spiceworks revealed that 20% of companies with under 100 employees are currently using the IoT and 17% more plan to utilize it in 2018. Small businesses will increasingly reap the benefits of IoT as its accessibility and affordability increase. As sensor performance and other monitoring technology improves, small businesses will use the raw data collected by the IoT to better control utility costs, efficiently track inventory and other assets, and improve manufacturing and other processes. Advancements in AI technology revolve around the growing ability of machines and applications to perform tasks that are characteristic of human intelligence. With these developments and its availability in affordable applications, AI offers small businesses valuable insight into their customer’s purchasing behavior. These powerful tools can collect seemingly random data and determine useful patterns and trends to help your business more effectively market your products and services. Machine learning was defined by Arthur Samuel in 1959 as “the ability to learn without being explicitly programmed.” This independent learning ability is a way to increase a machine or application’s artificial intelligence. This technology is improving and will lead to an increase in targeted sales efforts such as hyper local advertising, which uses your social media behavior and app location to serve ads relevant to your local interests in real time. Thus, advancements in machine learning and AI along with its affordability will enable small businesses to better target their products and services to the most likely customers on popular sites such as Amazon and Facebook. The Federal Communications Commission (FCC) voted to end Net Neutrality in December 2017. This action will dismantle regulations established in 2015 that have ensured equal access to the internet at no extra cost. These rules also prohibited any restrictions on access to websites. Experts are still analyzing the ramifications of this historic decision, but critics believe it will make it easier for internet service companies to charge users different rates to view premium content and will enable them to restrict access to selected websites. Proponents of the move say it is being done to stop the federal government from micromanaging and regulating the internet like a utility. They believe it will help consumers because broadband providers will be able to offer people a wider variety of transparent service options. They also say it will give providers an incentive to build networks and provide better service to underserved areas. 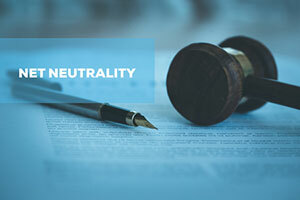 There will certainly be legal action concerning net neutrality that may delay major changes, but small businesses should pay careful attention to how this development will affect the cost and quality of their internet connections. With consumers and clients consistently expecting more information and engagement before they make a purchasing decision, the improved and less costly technology for video, VR, and AR will be more important for small businesses. Real estate companies and travel companies are already using VR and AR technology to take potential clients on virtual 360 degree tours of properties and locations. Customers in other industries are increasingly looking to similarly experience and test product properties and features before purchasing. Small businesses will have to respond to these customer demands by incorporating this new technology to sell their products and services, as well as to help their customers more effectively use them. With videos occupying an ever-growing dominant space on the internet, your small company should also pay more attention to producing videos for sales and marketing purposes as well as to provide information for customers. In addition, small businesses should consider the benefits of providing video chat options to clients and potential clients to improve engagement, boost customer service, and increase sales. The improving technology and reduced cost of both robots and chatbots will result in benefits and problems for small businesses and their employees. Businesses will increasingly be able to use different types of robots to perform a wide variety of repetitive, labor-intensive tasks. Chatbots are becoming cheaper and easier to use and are designed to perform mundane business tasks such as filling in forms, answering frequently asked customer questions, collecting data, and responding to social media inquiries. The positive side of these new developments is that it will make these mundane but necessary operations more cost efficient and effective for small businesses. It will also free up employees to work on more rewarding, stimulating tasks. On the negative side, companies will be replacing an increasing number of employees with these automated solutions. It is a hotly-debated question if there will be sufficient alternative jobs for these displaced or unneeded workers to fill. The power of mobile devices, the accessibility to enterprise-level applications provided by the cloud, and the affordability and ease of use of videoconferencing will all continue to push the trend toward more remote workers and telecommuting options in small businesses. Research has proven that increased telecommuting opportunities improve the morale and productivity of employees and reduce infrastructure costs for businesses. On the negative side, small businesses should always be mindful of the increased threats from cyberattacks resulting from more devices accessing their networks. As in previous years, your company needs to make sure that there are thorough internet use and Bring Your Own Device (BYOD) policies in place to protect your network from cyber threats. Blockchain is an encryption method using a digital ledger to protect cryptocurrencies, which is also expanding into banking and other business transactions. The blockchain is maintained and updated by independent users with computer devices. These “miners” process or clear one small fraction of a transaction by using complex algorithms to solve computational problems. This type of encryption is considered hacker-proof, as the encryption process is spread out and shared among many independent users. Businesses of all types and sizes are starting to realize the attractiveness of this new type of encryption, which is much harder to compromise than traditional encryption. Some businesses are also looking into its potential to enforce online contracts and keep track of business supply chains. Small businesses will increasingly adopt this type of protection in 2018 and beyond. After another disturbing year of increased cyberattacks and threats, 2018 promises to offer even more of the same. The simple fact remains: as small businesses become more dependent on the internet including the IoT for so many operations and functions, the opportunities for cybercriminals to hack into connected networks will also increase. Your small business should expect a greater number of attacks this year and some of a more sophisticated nature. As a result, industry experts are increasingly recommending that small businesses outsource their cybersecurity needs to IT managed service providers, such as Network Depot and other IT service companies. These experienced companies have access to the latest cybersecurity tools and methods and stay well informed about the latest cyber threats. In order to best understand and respond to these technology trends, we recommend consulting with an experienced IT Support Provider, such as Network Depot. They will help prepare your small business to best meet the challenges and opportunities ahead in 2018.